1.Kids can play baseketball as air inflated baseket ball Board is attached. 2.Kids can do water play if you pour water into air inflated pool. 3.If you fill air inflated pool with multi colored ball, Kids can do ball play. 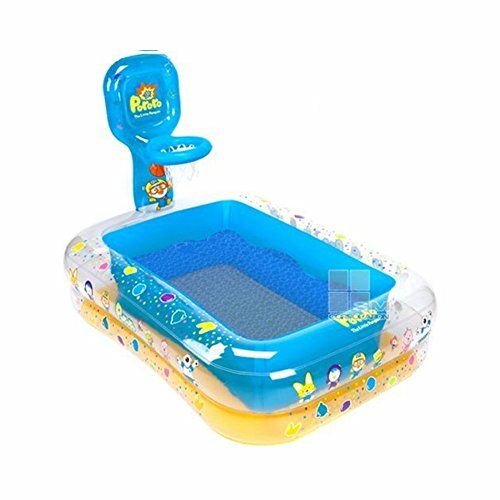 4.Kid can have fun in air inflated pool as there is fluffy air cushion inside pool. 5.User friendly play set as the part air is pour into and the part water is come out are separated. 100 pieces of Ball is included. If you have any questions about this product by Pororo, contact us by completing and submitting the form below. If you are looking for a specif part number, please include it with your message.